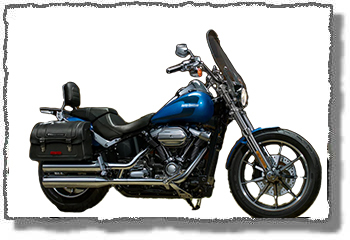 If you don’t see the model you want to ride, just ask us - we might be able to arrange it for you. This includes bikes from other companies including Indian, BMW and Honda. Any motorcycle is more difficult to ride with a passenger, and we do not recommend you do this unless you are an experienced rider. Harleys are big, heavy-weight motorcycles but are great touring bikes in the hands of an experienced rider. You may be surprised at how well they go, stop, and handle. 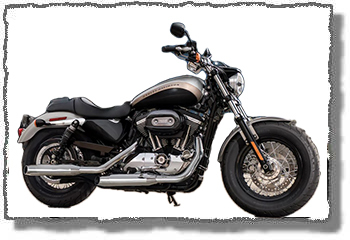 However, if you haven't ridden a heavy-weight bike recently, you really owe it to yourself (and our other tour riders) to get some seat time on a Harley or something comparable before the tour date. Riding in a new environment (and maybe on the other side of the road) can be challenge enough. If you haven't done so, we recommend that you complete a motorcycle safety course (offered for both novice and experienced riders) prior to your tour. To find a school in your area, contact the Motorcycle Safety Foundation at 800-446-9227 (U.S. national) or 800-227-4337 (California only).